Wydad Casablanca supporters hit back at Pitso Mosimane for his call for the Confederation of African Football (Caf) to punish the Moroccan side for being ‘frauds and bullies’. 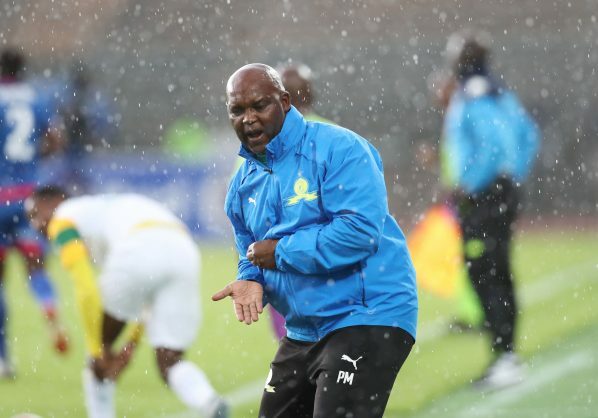 The Mamelodi Sundowns coach claimed Wydad were sore losers after his side beat the Moroccan club in South Africa in the first leg of the Caf Champions League. In response, the fans slammed Mosimane for saying Wydad players like to threaten the referees and opposition players when the result is not going their way. During the second leg match in Morocco this past weekend, Wydad fans hoisted a large banner with a message directed at Mosimane. “Pitso Mosimane: Great Country when teaching you, becoming corrupt when beating you,” read the message on the banner.